A minimal free business card designed for freelance and professional photographers. The modern business card template is fully layered PSD files, fully customizable and editable, CMYK setting, 300 DPI high resolution, 3.5” x 2”, (2.25 x 3.75 with bleeds) Print Ready format, double sided. This freebie is available for commercial and personal usage. The business card template is design by Yasir Jawaid exclusively for GDJ. 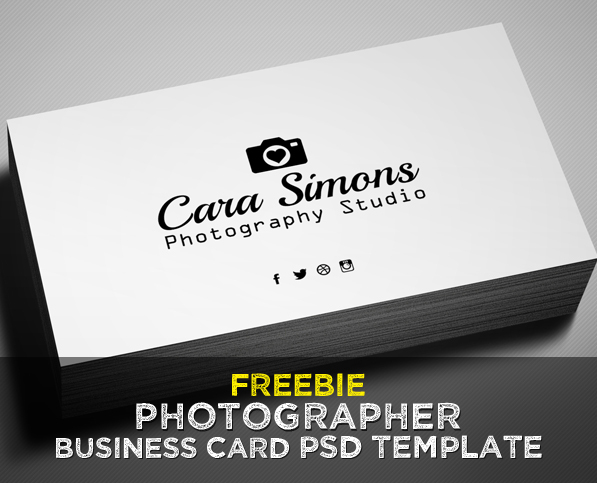 This business card is completely free for commercial and non-commercial usage. You cannot, however, claim them to be your own. You should include a link to our website when you share any where.